Information Incorrect/Incomplete? : Update your business details. Not Listed? : Claim your FREE* Listing. 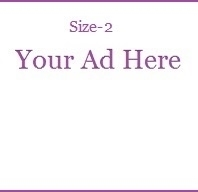 Advertise your business at ulsoor.thinkclickget.com. Know More. The contents of this website are for information purpose only, enabling the public to have a quick and an easy access to information. We take every effort to provide accurate and updated information. However, it is likely that the details may change prior to their updating in the web site. Hence, we do not assume any legal liability on the completeness, accuracy or usefulness of the contents provided in this web site. Hyperlinks are provided to other external sites in some documents. We are not responsible for the accuracy of the contents in those sites. The links given to external sites do not constitute an endorsement of information, products or services offered by these sites. Despite our best efforts, we do not guarantee that the documents in this site are free from infection by computer viruses etc. In no event will Vimanapura.com, its assignees, office bearers, administrators or partners be liable for any expense, loss or damage including, without limitation, indirect or consequential loss or damage, or any expense, whatsoever arising from use or loss of use, of data, arising out of or in connection with the use of this Website.